You can count on Isabella’s Towing for compassionate tow dispatchers and fast towing in Las Vegas, NV to get you out of a difficult situation. We prove that cheap towing doesn’t need to sacrifice quality service and customer support. Along with towing, we also provide a range of roadside assistance services to help you get on your way as quickly and easily as possible without the cost or hassle of a tow. You are stuck on the side of the road or a parking lot with a car that won’t run. There’s nothing worse, especially when it makes you late for something important and you need to pay for a tow truck in Las Vegas. At Isabella’s Towing, we understand how stressful and frightening it can be to find yourself stranded. We take pride in setting ourselves apart from other towing companies with compassionate service, fair and honest pricing, and fast response time. We won’t leave you waiting longer than necessary and our cheap towing in Las Vegas will help you get on your way with as little impact on your pocketbook as necessary. When you’re stuck with a flat tire, dead battery, or mechanical failure or you have been involved in a car accident, you can count on Isabella’s Towing in Las Vegas to be there quickly in your time of need. Our local light- and medium-duty towing company in Las Vegas only performs voluntary towing service and roadside assistance to help stranded motorists. We understand just how frightening and overwhelming it can be to need a tow truck in Las Vegas. Whether you’re now late for work, picking up your kids, making an appointment, or just meeting up with friends, you’re now exhausted, stressed out, and wondering what to do next. 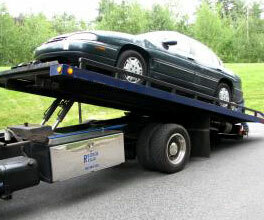 Is it your first time having your car towed? Not sure what to expect? At Isabella’s Towing, we often deal with customers on one of the most stressful days of their lives. We strive to make the experience as easy and stress-free as possible. When you give us a call and request cheap towing in Las Vegas, we will give you an estimate and let you know how long it should take for us to get there. The good news is you won’t be waiting long! While you wait, we recommend taking the following steps to stay safe. Pull over as much as possible onto the shoulder of the road. Turn on the hazard lights and use cones if you have them. Stay in your car with the seatbelt on unless you are 100% safe to get out. If you do get out of your car, do not stand in front of or behind it. This is a precaution in case another motorist hits your vehicle. Be aware of your surroundings. Do not accept a ride from someone you don’t know. If anyone offers help, let them know a tow truck is on the way. Gather your personal belongings and important documents to be ready when the tow truck arrives. If you’re dealing with something fairly simple like an auto lockout, flat tire, or dead battery, don’t panic. With affordable roadside assistance from our local car towing company, you can be back on the road in no time without the cost and hassle of car towing. Isabella’s Towing offers a range of roadside services with a Las Vegas tow truck driver standing by and ready to help. Stuck with a flat tire? Don’t panic! Call Isabella’s Towing right away. We can quickly change your flat using your spare tire. If you don’t have a spare, inflating your tire may be a possibility to let you drive to a nearby tire shop. In most cases, a flat tire does not require towing service at all. 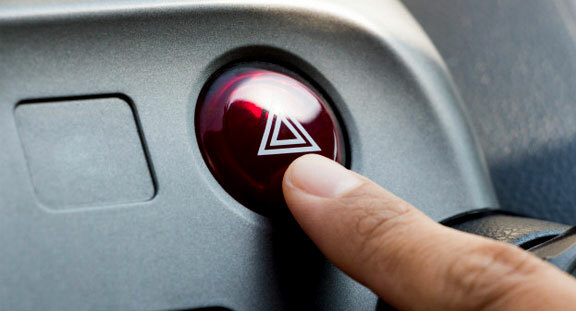 You try to turn on your car, you hear a click, but nothing happens. Your battery is dead and now you’re stuck with no jumper cables. Don’t worry, it can happen to anyone. Your battery may have died because a light was left on, your starter is going bad, or your battery is getting old and the Las Vegas heat is too much for it. Call Isabella’s Towing now for fast response from a tow truck in Las Vegas. 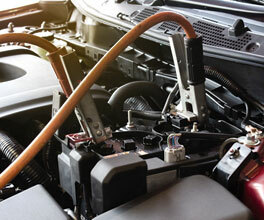 We can jump start your car to get you back on the road in minutes. There’s nothing fun about getting locked out of your car. Maybe you’re just having one of those days or you were in a rush. Now your keys are locked in the car and you’re stuck without a spare. 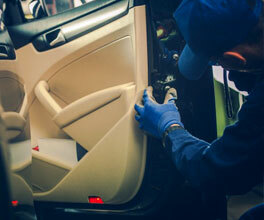 Call Isabella’s Towing in Las Vegas for fast response and car lockout service. Don’t be tempted to break a window or try to get your lock open. Our lockout service is very affordable and definitely costs less than repairing the damage you may cause! We will use wedges to open your door and unlock your car in a matter of minutes. Maybe you were on empty and thought you had enough gas to get to the gas station or you are just dealing with a broken fuel gauge. When you find yourself stranded without gas and you’re too far away from a gas station to walk, give us a call at Isabella’s Towing. Our tow truck in Las Vegas will be there quickly to deliver a few gallons of gas so you can get to the nearest gas station and be on your way.